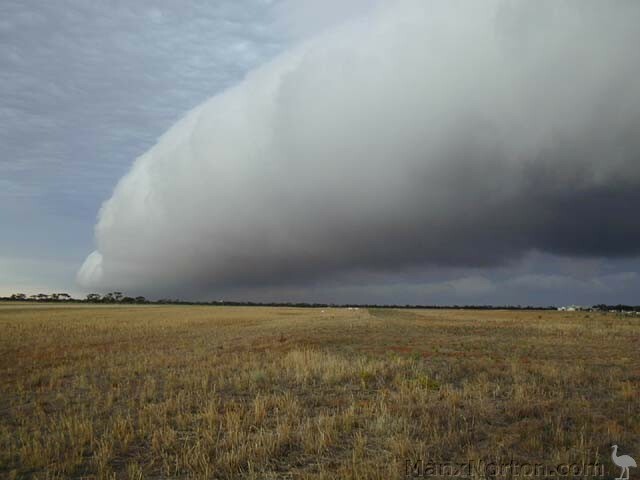 Roll Cloud over Waikerie, morning of 28/1/05. Photographs by Anne Woolf. More information... Nigel Baker says a similar cloud was seen in this location about four years previously. Could there be any relationship between this and the clouds sometimes seen in the Spencer Gulf, I wonder?